Ivor and Honor are such popular figures (not only with people involved in the construction industry, but also with the communities they have met), that seeing them switch on the local Christmas lights is greeted with enthusiasm amongst adults and children alike. Ivor and Honor helped children find Easter eggs when a hunt took place at a children’s trust. Ivor once attended a Christmas party which was held at a children’s hospital to celebrate Christmas with some very poorly children. Meeting Ivor and Honor at these events made their day really special. Community events are a good way for construction site teams and their neighbours to come together. 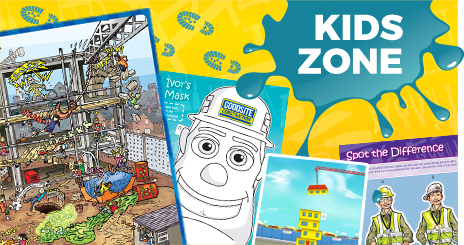 Ivor and Honor have joined construction companies at carnivals to help arrange games for children, give out balloons and goodies and join them on the procession route. 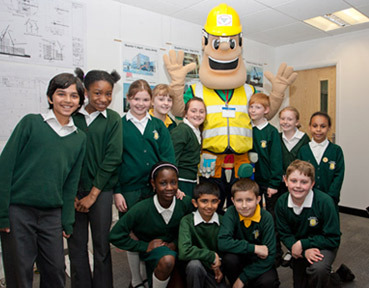 Ivor and Honor have made appearances at the launches of many completed sites such as supermarkets, schools and housing developments, invited by contractors to help generate a positive impression of the construction industry.